Dorothy Mae Kock Osmus, 85-years-old, went home to her Lord and Savior, on Tuesday, January 29, 2019. 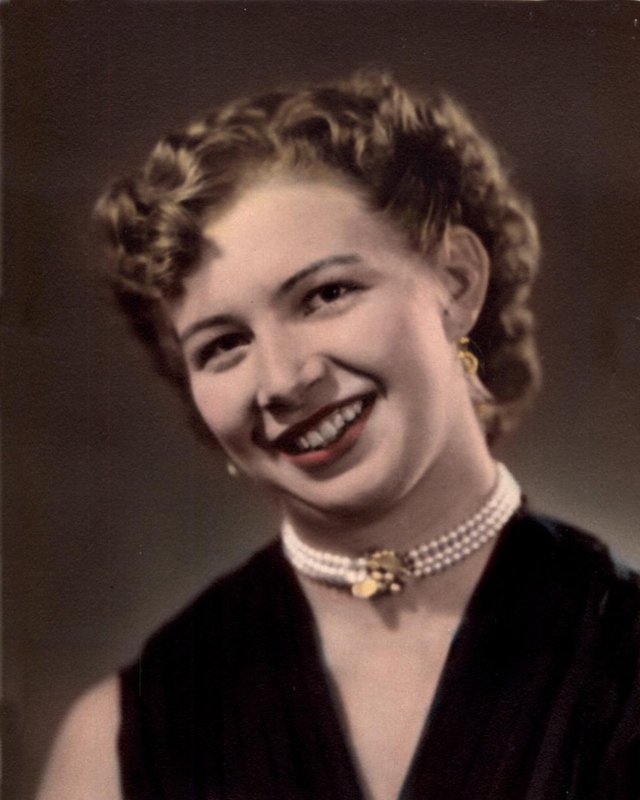 Dorothy was born to John and Gertrude Kock on Monday, September 18, 1933, in Wolbach, Nebraska. She was the second oldest of 7 children, John “Sonny,” Robert “Bud,” LaDonna, Edward, Margaret, and Margo. Dorothy will be reunited with her mother, father, Sonny, and Bud in heaven. After graduating from Caldwell High School, Dorothy went to work as a legal secretary for the law firm of Gigray, Miller & Downen. She held this position for 40 years. On Sunday, November 6, 1955, Dorothy married the love of her life, Albert. They started their 64 year life journey in Caldwell, Idaho. Al and Dorothy raised 5 wonderful children, Wayne, Sherron, Tony, Andrew, and Scott. Dorothy had the most amazing green thumb and loved her vegetable and flower gardens where she spent countless happy hours. She was a very gifted seamstress and won many blue ribbons with her extremely beautiful handmade quilts and women’s suits. Dorothy was a woman of faith and the heart of the Osmus family. She was a member of Grace Lutheran Church for over 60 years. Dorothy was completely devoted to her children, grandchildren and great grandchildren. No words can adequately express how much she is loved and will be missed. Our hearts are breaking but we know we will all be together in heaven. Son Wayne gave Dorothy 4 grandchildren (Tim, Mike, Angela, and Chris), 10 great grandchildren, and 3 great, great grandchildren. Daughter Sherron gave Dorothy 3 grandchildren (Matthew, Rachel, and David). Tony gave Dorothy 1 grandchild (Katrina) and 3 great grandchildren. Andy gave Dorothy 1 grandchild (Joshua). Scott gave Dorothy 2 grandchildren (Kolton and Samantha). Viewing hours will be held Monday, February 4, 2019 from 6:00 to 8:00 p.m. at Dakan Funeral Home, 504 S. Kimball Avenue, Caldwell. The funeral will be held Tuesday, February 5, at 10:30 a.m. at Grace Lutheran Church, 2700 South Kimball Avenue, Caldwell. Private grave side services will be at Canyon Hill Cemetery.